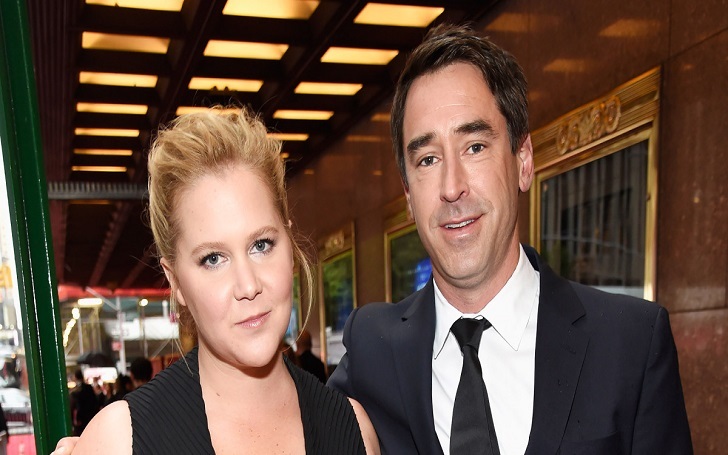 Amy Schumer gave some personal information about her Chris Fischer! The stand-up comedian said that her husband has an autism spectrum disorder. Schumer revealed about Chris being an autism spectrum in her upcoming Netflix special, Amy Schumer: Growing. The show is set to begin on Netflix this week. I knew from the beginning that my husband’s brain was a little different than mine. I have to start this over because I really want to get this right because I love him very much. My husband was diagnosed with what used to be called Asperger’s. He has autism spectrum disorder. He’s on the spectrum. And there were some signs early on. Schumer then went on to say that once her husband was diagnosed with the diseases, it dawned on her how funny it was because of the characteristics seen in him. She said the spectrum made her fall in love with him. That’s the truth. He says whatever is on his mind. He keeps it so real. He doesn’t care about social norms or what you expect him to say or do. Schumer, who is expecting her first child with Chris, also took to Instagram on Monday, March 18, to praise the chef and farmer while promoting the new special. The couple became married in February 2018, in a star-studded wedding in Malibu, California.